There’s a heavy supply of blueberries thanks, in part, to one country expanding its production. “There’s an abundance of blueberries. Peru has bigger production this year and dumping a lot into North America. The North American market is their main focus because there’s been a 20 percent increase in consumption of blueberries per household,” says Franco Maggiore from Montreal, Que.-based Thomas Fruits et Legumes. 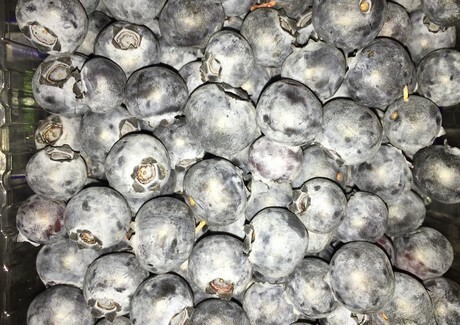 On top of Peru’s extra acreage, Argentina and Chile also seemed to have solid supplies of blueberries, adding to the heavy supply overall of blueberries. And while demand for berries was already good, it’s matching the heavy supplies and responding to pricing. “Pricing is very cheap which means demand is very strong. There is no overstock—just a continuous flow because pricing is so low,” says Maggiore. “For example, pricing is two pints of berries for $5. And it’s being compared to the summertime local deal—you’re getting a better deal this time of year right now than the summer local deal.” In total, Maggiore estimates prices right now are down 20 percent compared to last year. He also attributes strong demand to strawberry sales. “They don’t have enough strawberries right now so people are looking at blueberries,” he adds.